After Super Typhoon Haiyan devastated the Philippines in 2013, aid workers used drones to help with humanitarian relief for the first time. The drones recorded the dire situation, including the damage to hospitals, roads, and towns — and that information was used to set up medical relief stations for survivors. This year, hundreds of drones were deployed across Texas after Hurricane Harvey, and drone footage is becoming a staple in news coverage of natural disasters. 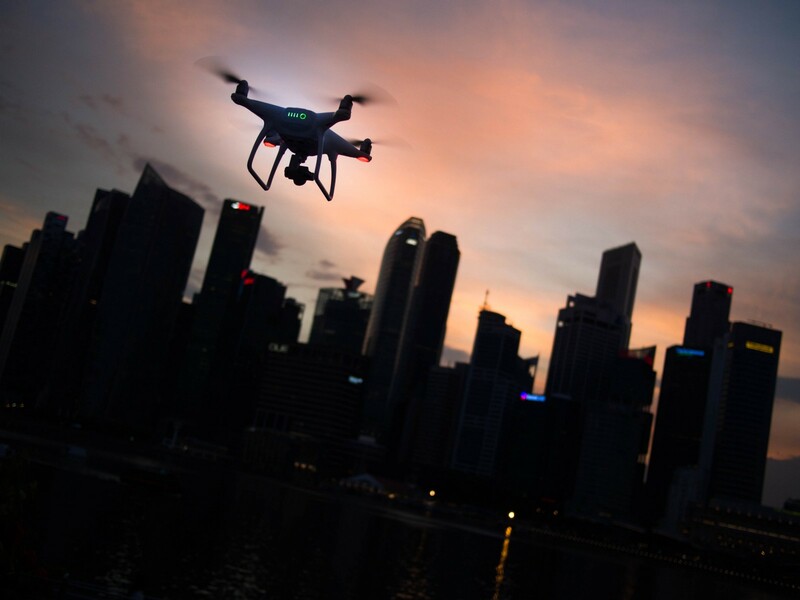 These two disasters provided valuable lessons on drones’ potential in emergency situations, but that’s far from the limit of their amazing promise. Drones equipped with high-definition video and thermal-imaging cameras can help rescue crews pinpoint sources of heat like a fire or trapped victims. And, when every minute counts, they can arrive faster than rescue teams — providing an operations center with a crucial preview of an unfolding situation. Drones are also faster than human rescue teams at finding isolated people, and can precisely deliver lifesaving equipment like ropes, life jackets, and even defibrillators. Swiss emergency centers get more than 1,000 calls from lost hikers every year. That’s motivated scientists at the University of Zurich to apply artificial intelligence to drones so they can recognize trails in forest areas and follow them — without human intervention. And once they encounter and identify a missing person through facial recognition, hair color or clothes, they’ll alert rescue teams to their exact location. Part one of this series: How AI boosts emergency response in the new age of super disasters.